Actually my Scandinavian father and father-in-law are no longer with us, and I only knew grandfathers back one generation. But they were all descendants of families from Sweden, Norway and Finland who made the perilous journey to America in the 19th century. (The one exception was my British grandfather, who made a perilous journey of his own). 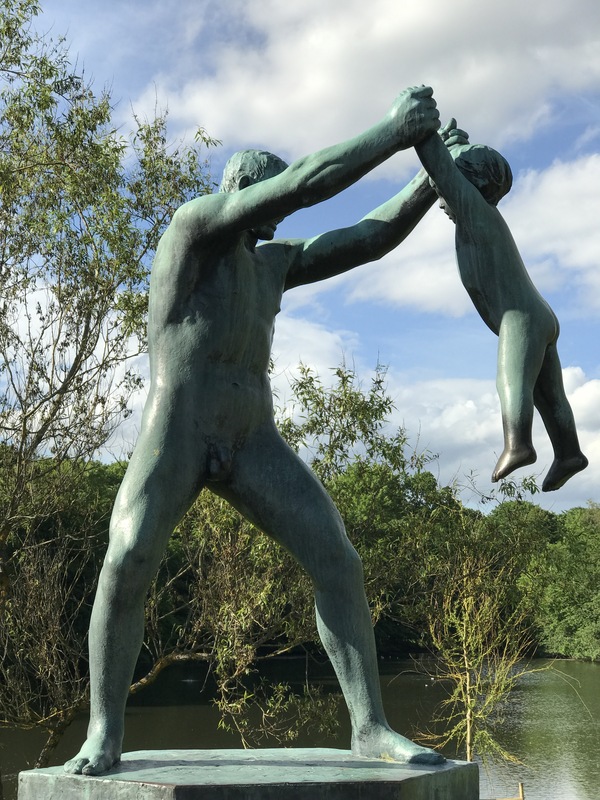 The sculpture above is from Norwegian sculptor Gustav Vigeland’s fantastic outdoor collection in Oslo, where the city gave him an entire huge park and studio for his lifetime. It’s a carefree image of fatherhood. My forefathers did not have carefree lives in the Old Country. I never heard any of my relatives speak longingly of returning, although my grandmother used to croon Finnish lullabies to us in the rocking chair. My people were no doubt poor potato farmers trying to scrounge a living from rocky little plots of land. They were very happy to arrive on American shores and begin new lives in the rich soil of Minnesota. 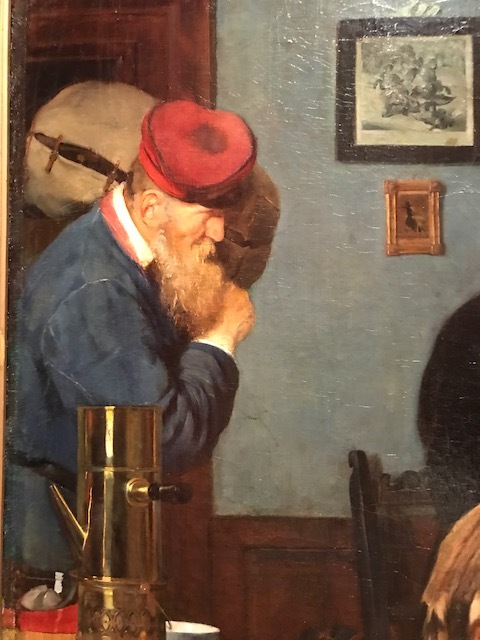 I was not particularly motivated to visit Scandinavian or Nordic regions–I guess I vaguely thought of these lands as poor backwaters, maybe lacking paved roads and indoor plumbing. Over the past few months, I finally got around to visiting, over four different trips: first Sweden, then Denmark, then Finland, then Norway. Now they’re my new favorite destinations. 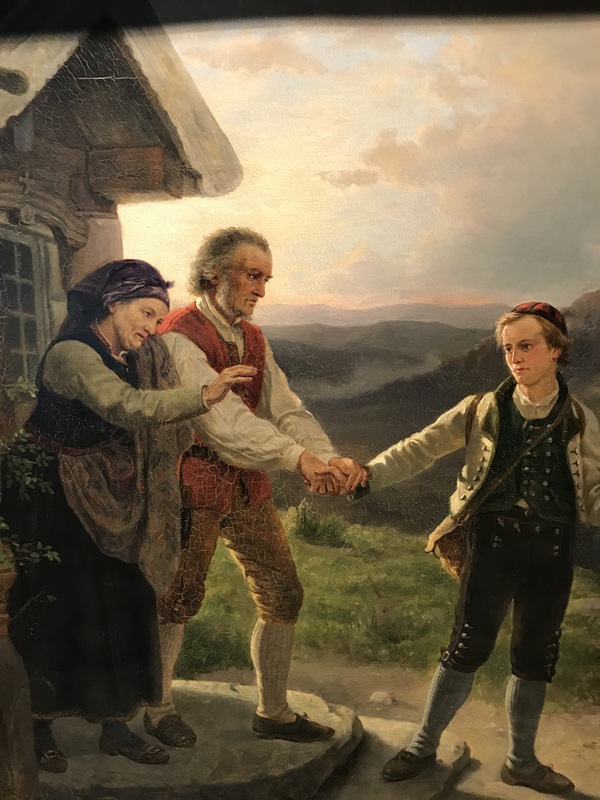 Looking at Scandinavian art, I was struck by images of children parting from parents they would never see again. 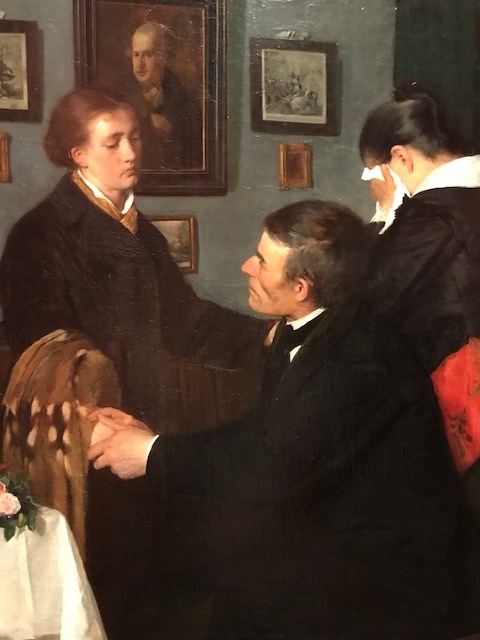 This painting, by Adolph Tidemand, is “The Youngest Son’s Farewell.” It was painted in 1867, when the great wave of migration was well under way. It’s in the Kode Gallery in Bergen, Norway. What’s going on here? It’s either a scene of emigration, or possibly of going off to war. One of the reasons for leaving the Old Country was to escape compulsory military service. A servant hauls the young man’s duffel bag. Whatever the reason, the parents are devastated to part with their son. There was no email, no Skyping, no jet planes for quick visits home. Leaving very often meant leaving forever. Life in Scandinavia was full of peril as well as poverty. 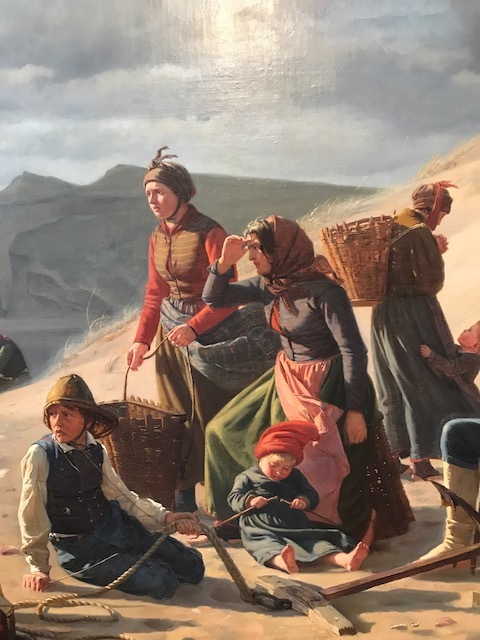 In this 1858 painting by Carl Bloch, a Danish family looks anxiously out to sea was a storm approaches. Will Father return, or will they all be left to fend for themselves? 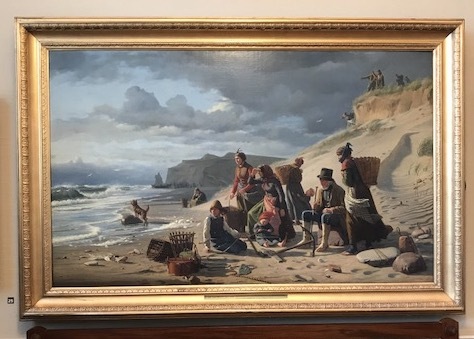 “Fisherman’s Families Await Their Return in an Approaching Storm” is in the Hirschsprung Gallery in Copenhagen. 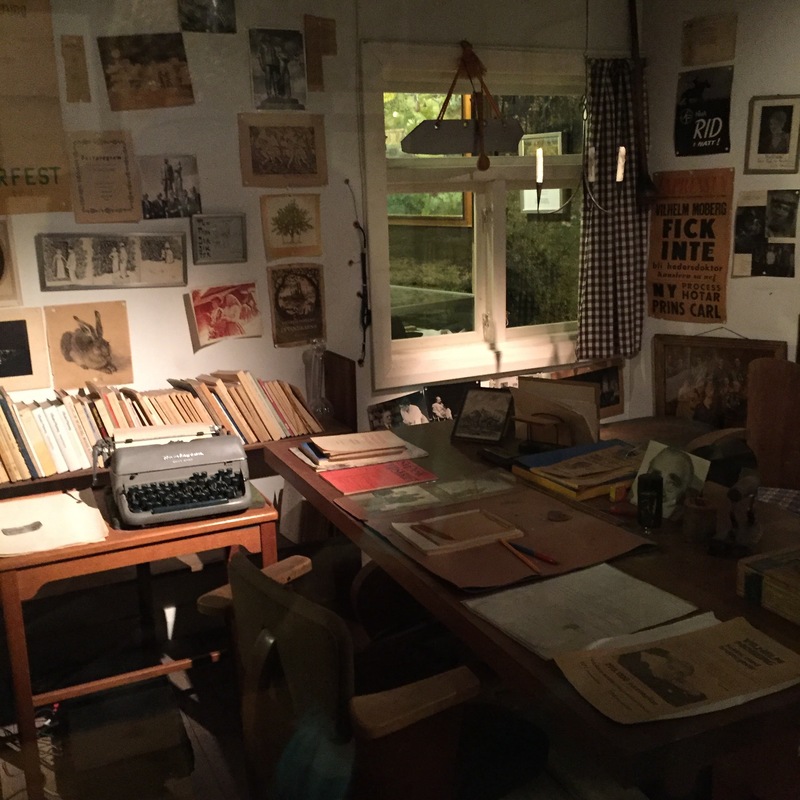 In Vaxjo, Sweden, I stopped by the House of Emigrants, full of fascinating displays about the great wave of migration that brought my people to America starting around the 1850s and continuing well into the 20th century. 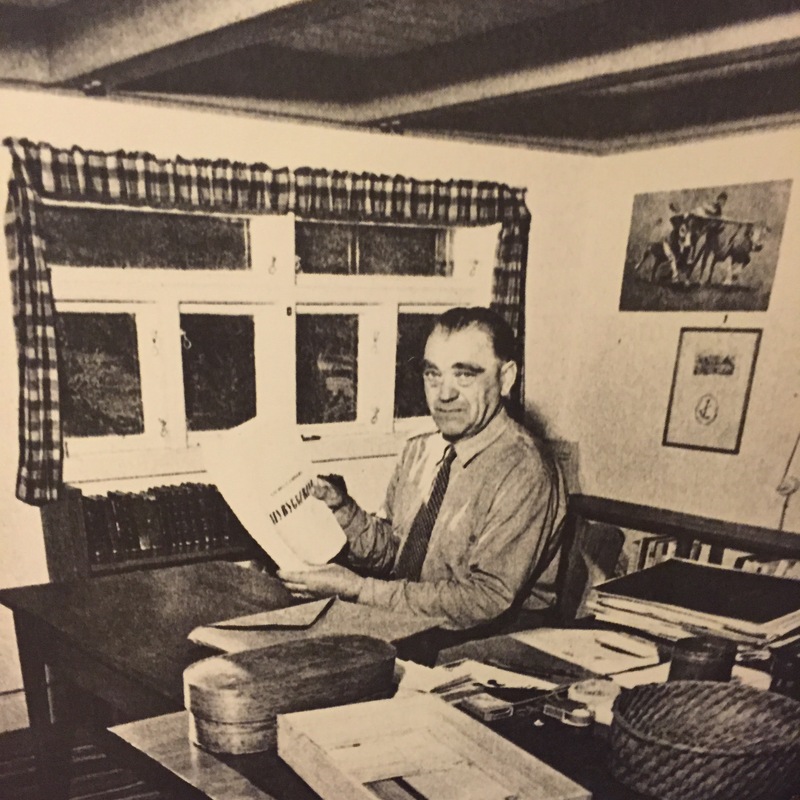 Moberg spent a lot of time in the very Minnesota counties where my ancestors put down roots, just north of the Twin Cities of Minneapolis and St. Paul. While still traveling, I downloaded the four novels and devoured them. Suddenly, I wanted to know all about my Scandinavian fathers. Travel constantly opens up new doors! Join me next time for more explorations in the art and history of Europe, the British Isles, and now the Nordic and Scandinavian countries! 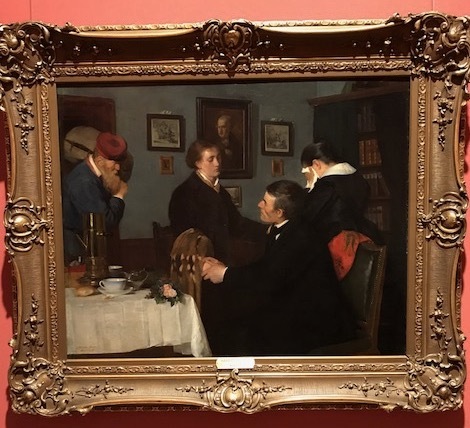 This entry was posted in Film and TV, Film and TV locations, Finland, History, Literature, Norway, Scandinavia, Sweden, Why I Love Denmark, Why I Love Norway, Writers and tagged "The Emigrants", "The New Land", Adolph Tidemand, Carl Bloch, Gustav Vigeland, Harriet Backer, National Gallery of Norway, Vaxjo, Vilhelm Moberg on June 19, 2017 by Claudia Suzan Carley.